Click the banner to follow the tour. 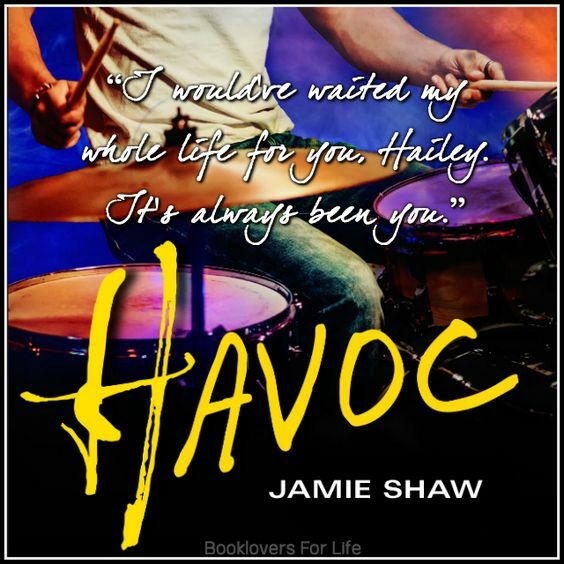 Welcome to today’s stop on the blog tour for Havoc by Jamie Shaw! Meet the drummer of The Last Ones to Know, Mike Madden, and check my review for this fabulous book! Readers fell in love with drummer Mike Madden from the very first book in this series, MAYHEM, when it became clear that he wasn’t like the rest of the guys in the band: Mike never took advantage of the fact that groupies were throwing themselves at his feet; instead, he was always waiting for “the one.” Mike had his heart broken back in high school, when his band was just starting to pave their way in the music industry, but that never damaged his belief in true love. He was never looking for a one-night stand—he was looking for his future wife, the woman he would spend the rest of his life with. He waited for her through RIOT, he waited for her through CHAOS, and he finally meets her in HAVOC, when he finds Hailey Harper waiting with her cousin outside of his tour bus. When Hailey Harper left her family farm to enroll in veterinary school, she had a plan: keep her head down, ace her classes, and most importantly… don’t upset the uncle paying her tuition. Translation? Don’t piss off his dramatic, self-absorbed daughter, Danica, even if she’s a nightmare to live with. Falling in love with her cousin’s rock star ex-boyfriend was definitely not part of the plan. As the drummer of a now-famous rock band, Mike Madden could have any girl he wants. He’s sweet, funny, romantic, talented–and the only guy that’s ever made Hailey’s heart do cartwheels in her chest. The more she gets to know him, the harder she falls, but Hailey knows they can never be more than friends… because Danica wants him back, and she’ll fight dirty to win. Mike is falling for Hailey too, but Danica’s threats and his rock star life-music video shoots, international tours, obsessed fans-could tear them apart before they’ve even begun. Hailey isn’t sure she’s the one for him, but Mike’s waited years for a girl like her… and he’ll do anything to prove it. Y’all, the wait for Mike book is FINALLY over!!! 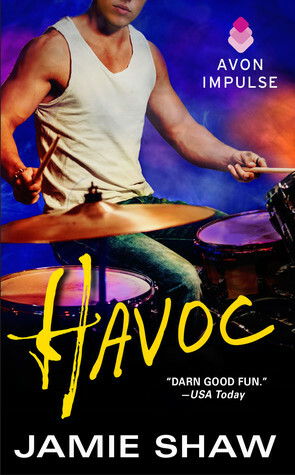 If you’re a fan of this series (it’s new adult rock star romances, how can you not be a fan), then you know Havoc has been a long time coming. Well, Mike’s book is finally here and trust me, you don’t want to miss it. It’s honestly the sweetest book of the series, because it’s got the sweetest hero of the series. Mike will melt your heart – I promise that if you read this book, you will fall head over heels for him like I did! Going into this, I was a bit wary because I’m not a fan of books with heroes who are still hung up on their exes. I can’t stand when a hero has feelings for someone other than the heroine… but Havoc is definitely an exception to this pet peeve of mine. Mike is still not over the ex who broke his heart years ago, but when Danica shows up again with her cousin Hailey, he gets the chance to decide whether he wants closure or another chance. Except there’s one complication, in the form of kind-hearted, adorable, geeky Hailey Harper. Hailey has always been overshadowed by her gorgeous, manipulative cousin, but for once in her life, she has something that even Danica can’t touch or ruin – her friendship with Mike. Hailey and Mike become fast, close friends, bonding over late night texts, jokes, and games. I adored the way their friendship developed so sweetly and genuinely. They are adorable together!! But soon enough, Hailey ends up falling for her cousin’s ex, who still wants to get back with him. She feels guilty, but Mike is one of the few things that is precious to her. There’s a lot of back and forth between Hailey feeling guilty and pushing Mike away to her wanting nothing more than to be with him forever. It gets a little dragged out, but once she decides to fight for her man, all bets are off. If you’re worried about how Mike feels about Danica, like I was, don’t worry. From early on in the book, Mike decides there’s only one girl for him, and that’s Hailey Harper. Hailey is just a little oblivious about ;). But once Mike sets his sights on her, there’s nothing that can keep him from winning her over and making her believe that there’s no one for him but her. Can you see why Mike is the sweetest hero out of all the boys in The Last Ones to Know!? I adored this book. After the rough start in the beginning, it wasn’t hard to fall in love Mike and Hailey’s story. Danica is a total beyotch, but thankfully she didn’t ruin the book with her manipulative ways. Mike’s sweet and dirty talking ways totally made up for her. I love this new adult rock star series, and if you love either new adult or rock star books, I highly recommend picking this one up. It’s fun, flirty, and sweet – but I’m so sad the series is over! Still, I’m looking forward to what Jamie Shaw has in store for us next! A resident of South Central Pennsylvania, JAMIE SHAW‘s two biggest dreams in life were to be a published author and to be a mom. Now, she’s living both of those dreams and loving every minute of it. When she’s not spending time with her husband and their young son, she’s writing novels with relatable heroines and swoon-worthy leading men. 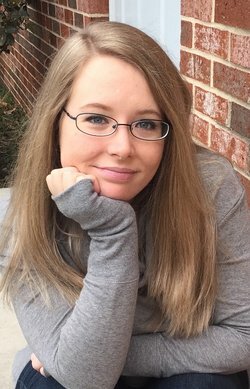 With her MS in Professional Writing and a passion for all things romance, her goal is always to make readers laugh, cry, squirm, curse, and swoon their pants off, all within the span of a single story. She loves interacting with readers, and she always aims to add new names to their book boyfriend lists. Thank you for taking the time to review HAVOC today!